Nintendo’s Animal Crossing: Pocket Camp (Free) has been running a Super Mario event since March 10th, a day that has been designated MAR10 Day because everyone’s got to be cute these days. A handful of Mario-related items were made available for crafting, including Mario’s hat, a Super Mushroom, and so on. There were some noticeable exclusions, however. As always, poor old Luigi got left out of the spotlight. But worry not, fans of the Best Brother, because as of today? It’s Luigi Time. Luigi always seems to get the short end of the stick. A perpetual Player 2 to his brother, Luigi couldn’t even catch a break when Nintendo decided to give him an entire year. It ended up being one of the company’s worst in quite some time in spite of all of the great Luigi content. And the less said about recent Luigi coverage on other sites, the better. 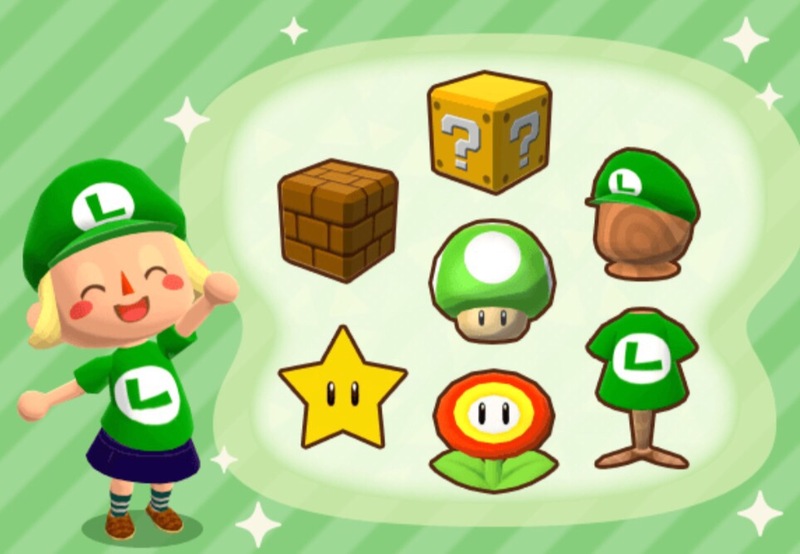 If you want to show your support for this superstar, you can now craft some Luigi goods by doing tasks for campers and collecting 1-Up Mushrooms. A Luigi hat and Luigi shirt allow you to deck yourself in winning green colors. After that’s done, you can also collect a 1-Up Mushroom decoration, a Question Block, a Floating Block, and a Fire Flower. If you’re willing to shell out some Leaf Tickets, you can also nab a Super Star. If you haven’t finished grabbing the Mario items, don’t worry. You’re still able to get Super Mushrooms and craft the initial set of objects, though they are a little harder to come by now that they’re sharing with the 1-Up Mushrooms. This current round of items will be available through April 10th, and another wave of Super Mario-related goodies will arrive on March 31st. But do you really need anything else after you have that sweet cap?